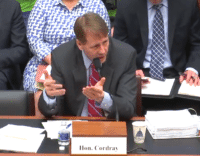 Richard Cordray Tells CFPB Staff Leandra English is Acting Director. President Trump Appoints OMB Director Mick Mulvaney as Acting Director. So Who Wins ?